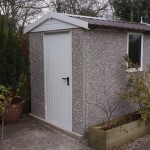 There are many requirements that a Shed or Workshop must have in order to be useful for a homeowner. The most obvious requirements for a Shed or Workshop is strength and security. This is not something that can be compromised on especially when considering the value of items that may be stored in the Building. 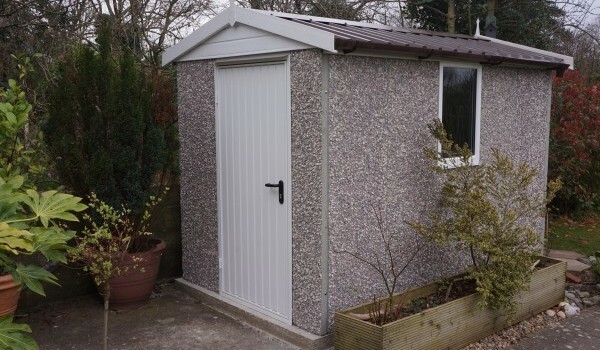 Concrete Sectional Sheds and Workshops offer both strength and security . All buildings have a 10 year Warranty. A recent project we undertook in the Bournemouth area. 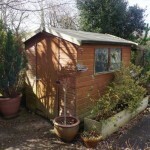 Our client in Bournemouth had had their wooden shed broken into several times with items of value stolen. A new Concrete Sectional Shed was built to provide them with the secure robust storage they needed. Many thanks Claire for all your help, advice and much patience on choosing the right shed for our garden. We are really impressed with how smoothly everything has gone, a very professional and friendly team, great value for money with minimal maintenance.